So, everybody that loves video games sure must have played or at least heard of Red Dead Redemption 2 (RDR2) by now. 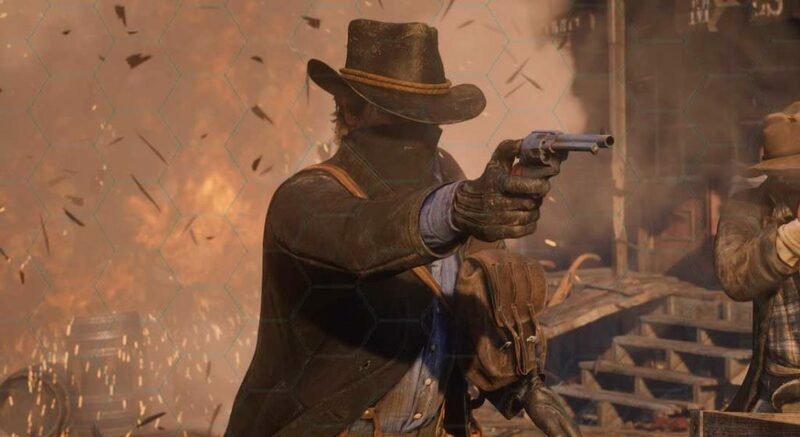 There are a lot of reviews from 2019 out there to read, for example, https://www.gameindustry.com/news-industry-happenings/the-game-red-dead-redemption-2-a-player-review/. And it is one massive video game. I have been playing it for at least 40 hours by now and I am honestly not ever through the main story yet. This is a game that can be played very slow. If you want. But of course, it is also possible to skip side missions and go just for the main story altogether. This would probably make it possible to play through the entire Red Dead game in about 50-60 hours (just a guess). What is my favourite part of this game then you might wonder? For me, it is the Legendary Animals Hunting part of the game. The hunting part in RDR2 is just so big that it is a game in its own. You can hunt bears, birds, deer, rabbits, foxes and also go fishing. Since fishing and hunting often go side by side, I would say that it is basically the same thing in this game. The hunting part is also divided into something that is called “legendary animals”. In total, I believe there are 16 legendary animals + 13 legendary fishes. When you hunt these and get their pelts skinned in perfect condition, you are in for a treat. You can use it to craft special items, and also sell them for a handful of cash. Some of the legendary animals are (spoiler alert…) the legendary alligator, beaver, boar, cougar, elk, wolf and bison. Fishes include the legendary catfish, gar, perch, rock bass and trout. To be able to get these kinds of animals and fishes in Red Dead Redemption 2, you need to use special bows, guns and fishing rods as well as lures. It is not easy, not at all. Hence, I would say that this part of the game sure is a game in its own. If you have not experienced these features of the great game of RDR2, go give it a try. Most likely, you will find it extremely fun. Good luck!